A man wearing a mask walks on a street in Beijing as the capital of China is covered by heavy smog. Andy Wong/AP Photo file. In 2015, U.S. President Barack Obama and Chinese President Xi Jinping were lauded as world saviours for endorsing the UN Paris agreement “to combat climate change and to accelerate and intensify the actions and investments needed for a sustainable low-carbon future.” As the world’s largest emitter of greenhouse gases, China’s leadership was especially valued, and lauded, even though the Paris agreement was non-binding and committed China to nothing. Then Donald Trump was elected president of the United States and withdrew the U.S. from the Paris agreement. China and its Communist Party leader Xi were happily thrust into a leadership position. It didn’t last long. As the nations of the world congregate in Katowice, Poland for the 24th Conference of the Parties climate-change meeting (COP24), China is reeling from Trump’s trade sanctions. Xi is focused now on his need to maintain economic growth at home. And the U.S. and EU have largely abandoned a Green Climate Fund that would have redistributed US$100-billion a year from developed countries to developing countries. That was the lucre that made climate change interesting to China and other Third World countries. So China no longer has an economic incentive to participate in what it saw as the Paris climate-change charade. Instead, China’s energy policy is focused on the Communist Party’s two primary domestic needs: securing the energy to fuel China’s economy and reducing the smog that undermines public confidence in the party. Failure to accomplish those two goals would represent an existential threat to the party’s control over China. Over the past year, China’s demand for energy is up substantially, as high as 15 per cent in the case of natural gas. To meet its need for fuel, Chinese authorities are using their expansionist Belt and Road Initiative and other projects to secure imports from Myanmar and Turkmenistan via pipelines; from Siberia via the nearly completed Russian “Power of Siberia” project and a proposed “Power of Siberia 2” pipeline; and from the Middle East via pipelines through Gwadar, Pakistan to Kashgar, China. Because that isn’t enough, China is securing LNG supplies from as far away as Equatorial Guinea, Angola, Peru, Trinidad and Tobago, Australia, Indonesia, Papua New Guinea, Malaysia, Qatar, the United States and Canada, as well as from Russia’s Yamal project along a Polar Silk Road. And because even all that is still not enough, China is securing oil from Oman, Russia, Iran, Saudi Arabia, Angola, Iraq, UAE, Kuwait, Colombia, Kazakhstan, Congo, South Sudan, Brazil, Venezuela, and Canada. In other words, to meet its energy needs, China is aggressively pursuing every means at its disposal except green energy. As for reducing smog, China has decided that clean-burning natural gas — not renewables — is the answer. Although China promised under its commitment to the Paris agreement to “peak” emissions around 2030, to decrease carbon-dioxide emissions per unit of economic output and to use more green energy, China’s greenhouse gas emissions increased by 1.7 per cent in 2017 and are projected to grow by 4.7 per cent in 2018. With Paris’s low-carbon, green-energy fantasies having ended in abject failure in terms of meeting China’s need for either energy or clean air, all that’s left is propaganda. To that end, China’s super-planner, the National Development and Reform Commission (NDRC), said it is considering floating a national pricing framework on pollutants by the end of 2020 “to curb environmental damage while keeping the economy afloat.” China’s once-lauded carbon market, meanwhile, has been scaled back. Beyond that, China’s central government makes little mention of carbon emissions and climate change, except in official propaganda, such as that seen now in the Poland confab, where the main goal will be to produce a “rule book” by which participant countries will commit to reduce carbon-dioxide emissions and to disclose how well they have done in this regard. But without the US$100 billion per year for the Green Climate Fund, China has lost much of its motivation to keep up the pretense. Since Paris, the Green Climate Fund has raised only a small fraction of the money it promised. The fund now languishes with dwindling resources and beset by internecine conflict. The U.S. and EU’s collapsing commitment to meeting Paris’s targets gives China an out, which it will take. To the extent that China tries to keep the ruse going, it will continue to insist that, like the Third World nations it purports to represent, it should not be held to the same standard of emissions reductions and disclosure as developed nations are. But the world has changed in another way since the Paris agreement was signed: Other countries don’t really believe China’s promises and propaganda anymore. 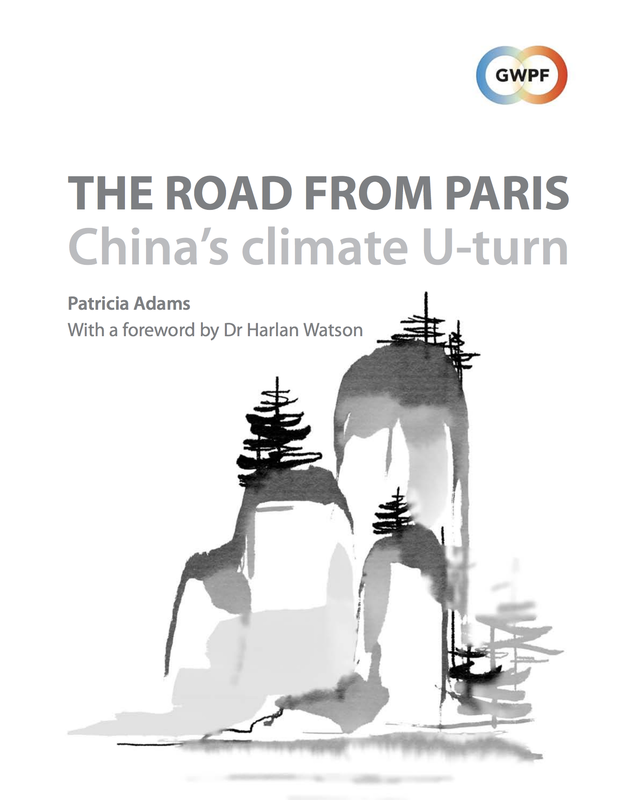 Patricia Adams is executive director of Toronto-based Probe International and author of “The Road from Paris: China’s Climate U-turn,” released Wednesday by London-based The Global Warming Policy Foundation.